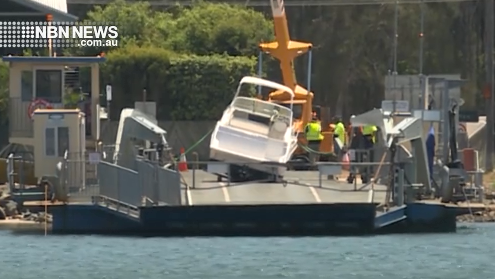 A boat owner had an unlucky start to the day, when his vessel fell off a trailer, while disembarking the ferry at Settlement Point. The incident forced the ferry service to stop for a number of hours, disrupting commuting traffic to and from the North Shore. A crane was brought in to remove the vessel.